Shorthand remains a respected and essential skill in professions such as Administration and Journalism. This course is designed to help you start your shorthand learning experience from the beginning and will guide you through a comprehensive lesson plan until you are able ultimately to write up to 80 wpm (words per minute). Youll need a strong desire to learn and must be willing to go the extra mile in your studies to help achieve top speed. The way you study this course is flexible so you can set your own study pattern. Our Course Advisors will be there to help you along the way so your Teeline training will fit seamlessly into your existing commitments. 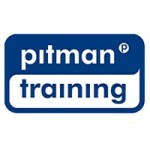 For information about Pitman Training Centre (Sligo), please visit our Training Provider page on Corporatetraining.ie by clicking here.